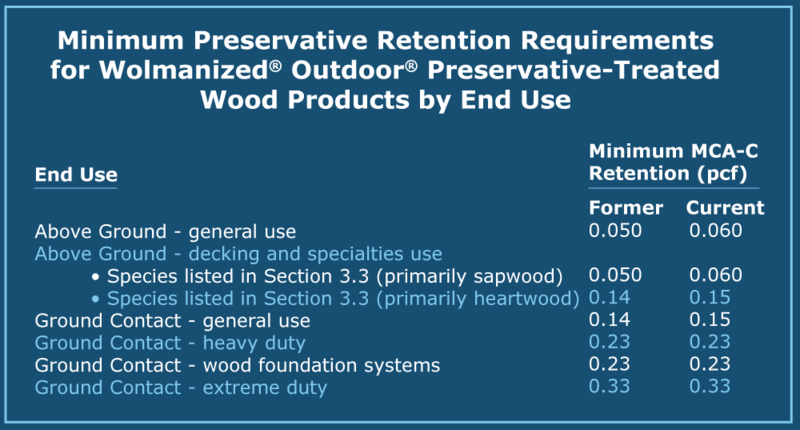 Lonza’s ICC-ES Evaluation Report ESR-1721 for Wolmanized® Outdoor® Wood (including CA-B, CA-C, MCA-B and MCA-C) expires in May 2018. After a full evaluation, Lonza has decided to renew the report with some changes to the Minimum Active Retentions in Table 1. All other retentions and language in the report will remain the same.